Credit Card - You will need to put a deposit down via credit card. Half of the remaining balance will be drawn from that card on November 7 (first Tuesday in November), with the remainder drawn from that card on December 5 (first Tuesday in December). If other accommodations need to be made, please contact your Delegation Director. 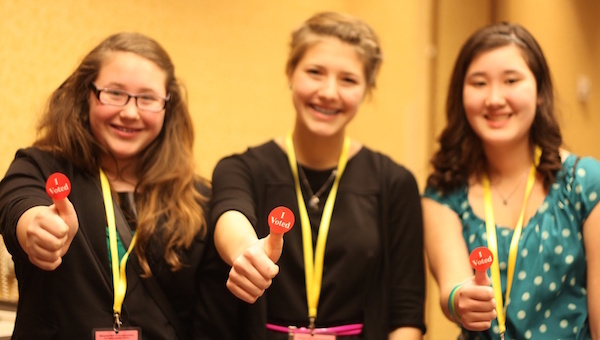 Delegation Name - The YMCA or school that your student is a participant with. Student's Email - This must be unique and different from your email or any other student's email otherwise their registration WILL NOT WORK. The YIG State Office only communicates with students about YIG-related matters. Student email addresses are never shared outside the YMCA. Also, please have the Parent Registration Guide open and available during this stage. Once you have registered and paid, your student(s) will receive an email (from info@regy.co) with your instructions to complete the registration process. NOTE: THIS MAY TAKE SOME TIME; THE EMAIL MAY NOT COME IMMEDIATELY. Please allow up to 24-48 hours for the email to arrive, and don’t forget to CHECK YOUR SPAM FOLDER.